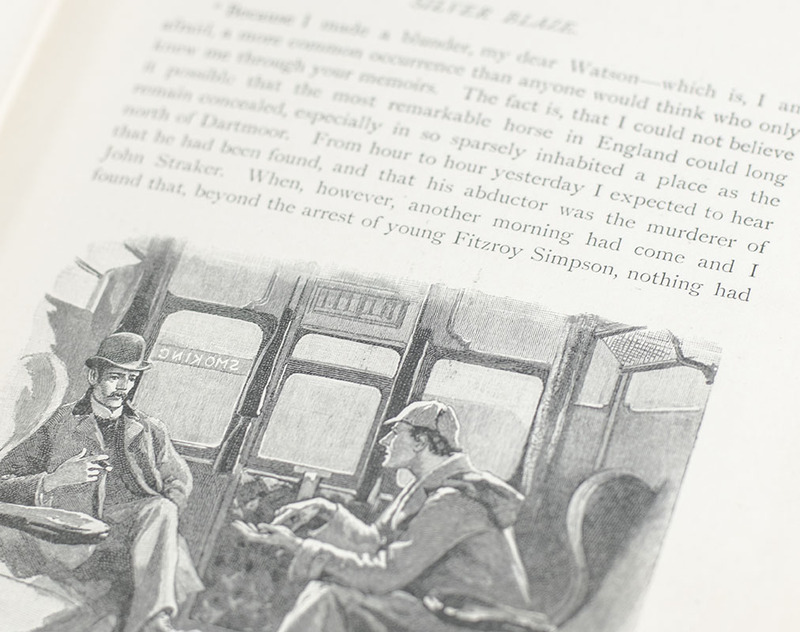 The Adventures of Sherlock Holmes With: The Memoirs of Sherlock Holmes. London: George Newnes, 1892 and 1894. 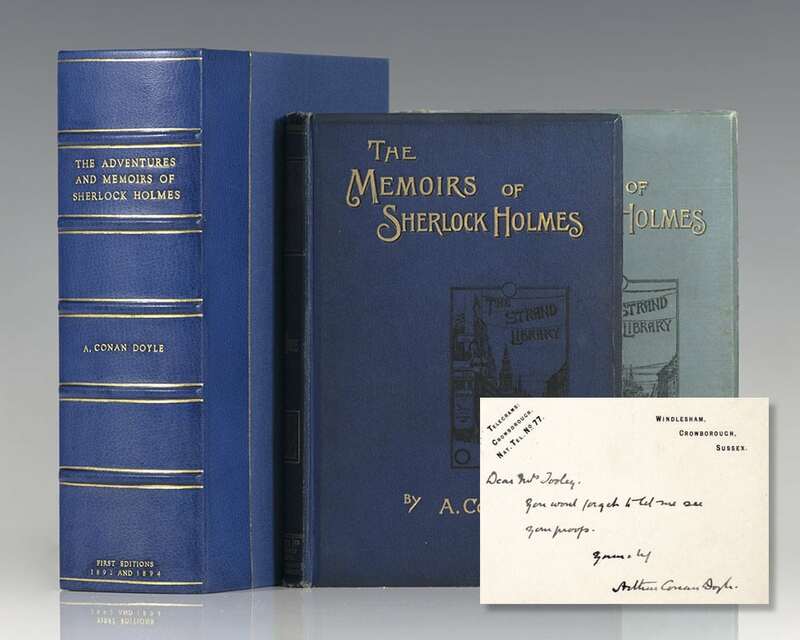 First editions of Arthur Conan Doyle’s classic stories starring literature’s most famous detective, with an inscribed note from him laid in. Octavo, original pictorial black and gilt-stamped light blue and dark blue cloth, patterned endpapers, all edges gilt. First issues, the first title with the street scene vignette with no text on the street sign. 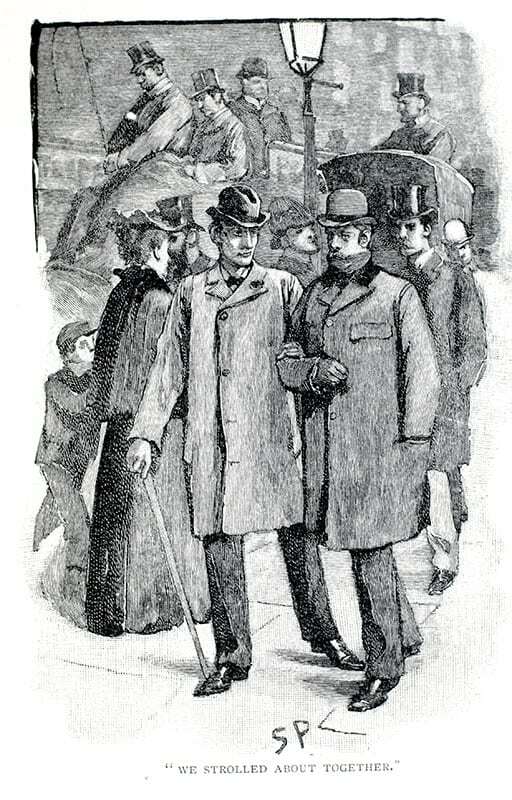 Illustrated by Sidney Paget. 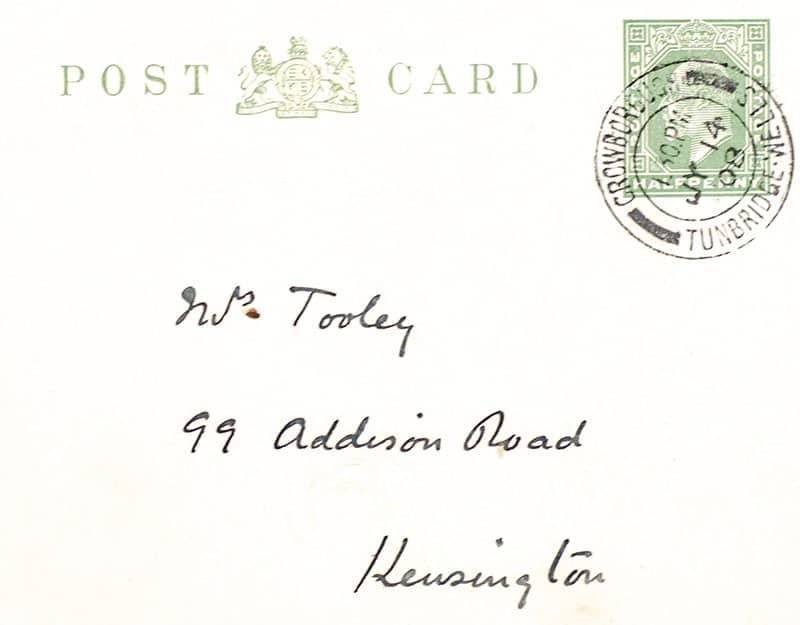 Laid in is a telegram postcard signed and in the hand of Arthur Conan Doyle addressed to Mrs. Tooley of Kensington which reads, “Dear Mrs. Tooley, You would forget to tell me see your proofs. 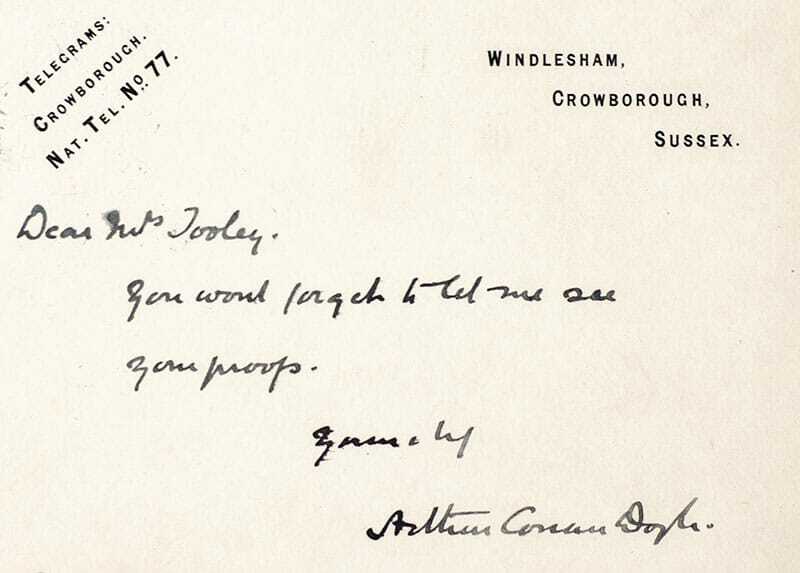 Sincerely, Arthur Conan Doyle.” The recipient, Sarah Tooley, was a prominent Victorian era journalist and biographer renowned for her illuminating celebrity interviews. Adventures with some rubbing to the extremities. Memoirs with moderate light rubbing to the spine tips and corners, contemporary bookplate. Housed in a custom half morocco clamshell box. A very good set. 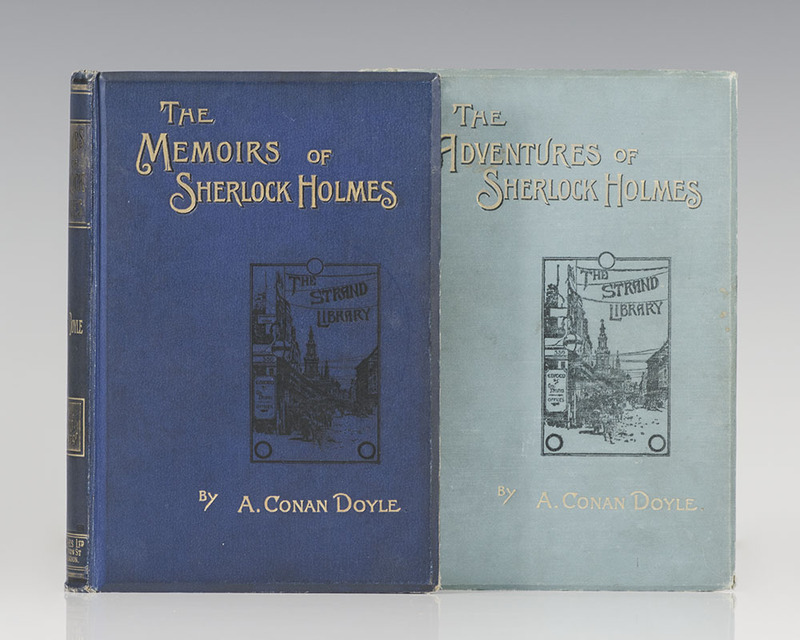 "The initial 12 tales were collected between covers as The Adventures of Sherlock Holmes, published in England and America in 1892; and 11 of the second 12… as The Memoirs of Sherlock Holmes, published in 1894. If any reader be prepared to name two other books that have given more innocent but solid pleasure, let him speak now— or hold his peace!" (Haycraft, 50). These volumes contain such famous and memorable tales as "A Scandal in Bohemia" and "The Adventure of the Speckled Band." 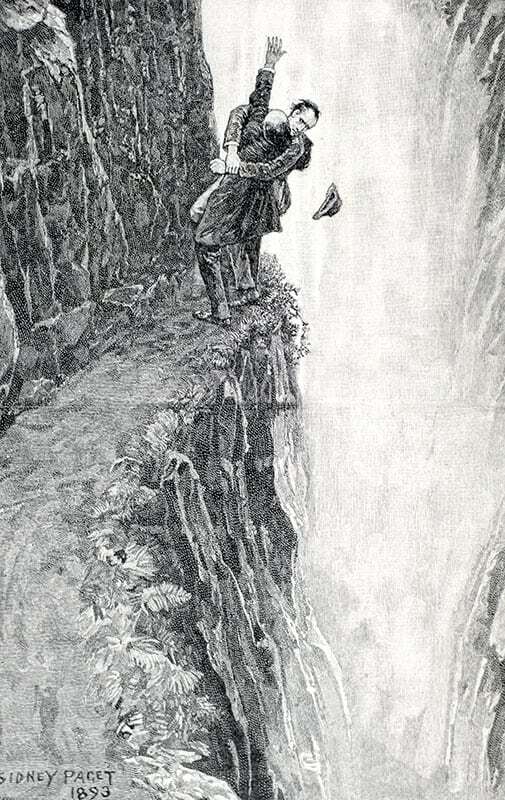 Of special note is the last case in the Memoirs, "The Final Problem," in which Holmes apparently meets his death in a struggle with "the Napoleon of crime," Professor Moriarty. 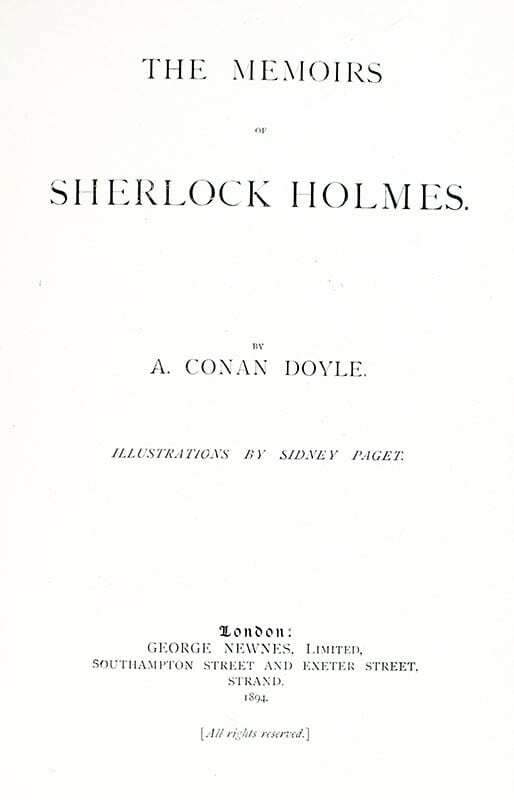 "At one point, tiring of the detective, Doyle attempted to exterminate him… but the clamor of his admirers forced him to resurrect Holmes for several further volumes, and his popularity has waned little since" (Benet, 273). With Sidney Paget's original, iconic illustrations: "Paget's spirited illustrations… greatly assisted to popularize those stories" (DNB).